Monarchs and madness and megalomaniacs, oh thy... 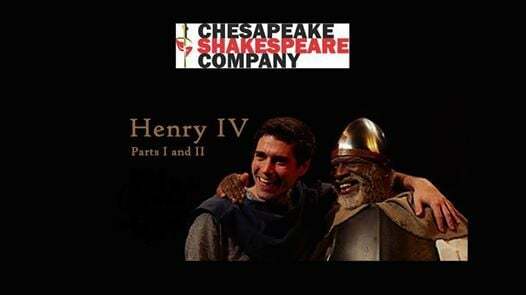 Witness the rarely performed Henry IV at Chesapeake Shakespeare Company with your new plus-some theater enthusiasts. Intimidated by Shakespeare? All pretense is off at Chesapeake Shakespeare Company. 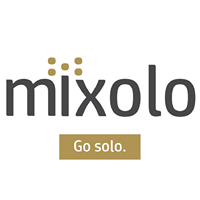 Come out on your own, with our without a plus-one, and sit with Mixolo. It’s not often that you get to see parts one and two of the Bard’s Henry plays back to back. While named for Henry IV, the two historical chronicles, set around the turn of the 14th century, principally focus on the King’s son. The future Henry V (who did get a titular play of his own), is more familiarly, and affectionately, known here as Prince Hal. Join us for a back-to-back performance (March 23) of Part 1 and Part 2 with a break for dinner. Indicate your interest when you sign up for either on a dining or happy hour option with the theater's "restaurant in residence" - the award-winning Chez Hugo Bistro. 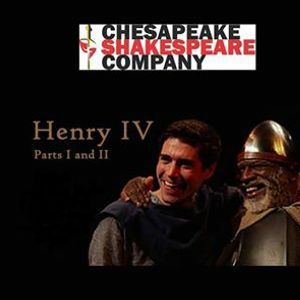 In King Henry IV, Part I, the plotlines involve castle intrigue, as the King struggles to hold onto the crown he usurped from his predecessor, Richard II. But the King’s more pressing issue may just be his relationship to his son, Prince Hal. The young prince spends most of his time carousing with his friend Sir John Falstaff, who never met a pint he wouldn’t guzzle or a wench (apologies if offended by ye olde reference) he wouldn’t nuzzle. Meantime, the rebel, Hotspur is moving in. Will Hal step up to his noble calling? The second installment of Henry IV shows a somewhat matured Hal, struggling to reconcile his imminent succession as his father nears death. Crowd favorite Falstaff reappears, doing his best to pull his favorite sidekick back to debauchery, but the soon-to-be-king must face his own future responsibilities as monarch. The Chesapeake Shakespeare Company Theater and cultural center, located near the Inner Harbor in Downtown Baltimore, opened in September 2014. This achievement was made possible with the support of devoted audiences and individual, corporate, philanthropic and governmental partners. CSC transformed a 19th Century landmark bank building into a modern 260-seat theater inspired by Shakespeare’s Globe. The Chesapeake Shakespeare Company (CSC) began in 2002 with a small group of artists committed to changing how people think about Shakespeare, by producing shows that allowed audiences to connect to classic works in whole new ways – ways that are fresh, innovative and sustainable. Your ticket purchase grants you entry to both performances on Saturday, March 23, 2019 with Mixolo. Mixolo attendees will be seated together. Tickets to this performance are also open to the public on Chesapeake Shakespeare Company's website. We are only reserving seats for Mixolo for both performances on this date. If you want to attend only one of the March 23 performances, we recommend you purchase through Chesapeake Shakespeare Company. Tickets for this Mixolo experience at the theater are only available here and at https://mixolo.io. Dining is not included in your ticket purchase. Highly acclaimed restaurant, Chez Hugo will provide a prix fixe menu for approximately $45/per person. We can enjoy dinner at our community table between productions.